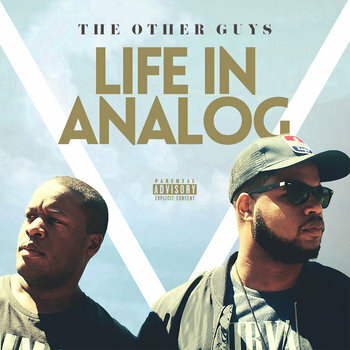 Following the success of their collaborative albums with Von Pea and Substantial, DMV production duo The Other Guys return with their new album, Life in Analog. Busting at the seams with the soulful sounds and hard hitting drums the duo has been known to provide, Life In Analog features guitarist Brian Woods and bassist Mitch Beer, with vocal performances from veteran artist Skyzoo, Tanya Morgan, Kooley High & Substantial. Life In Analog careens through tales of friendship, family, and the everyday grind.